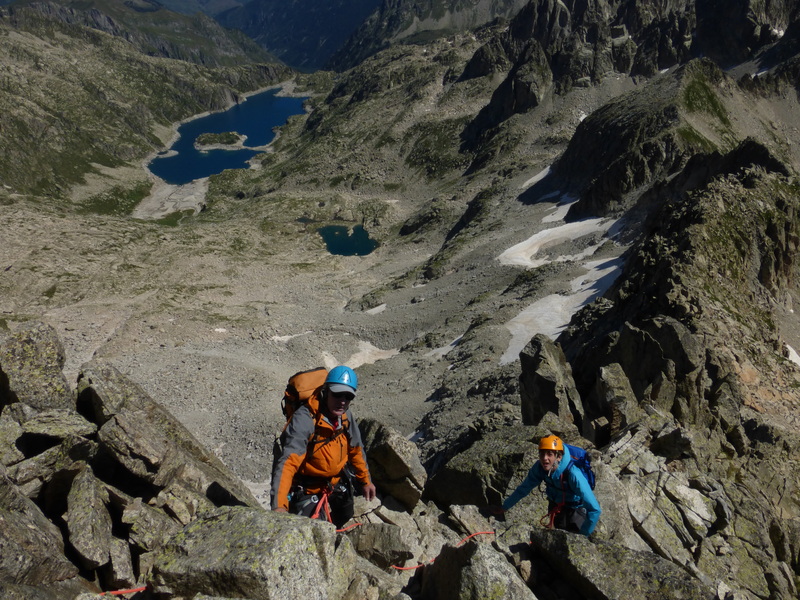 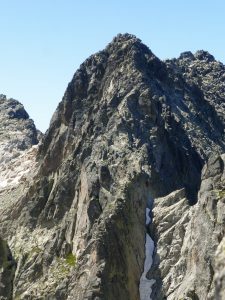 One of the most famous arêtes in the Pyrenees. 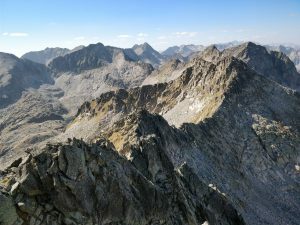 Thanks to its good quality rock, you will enjoy a memorable traverse connecting three of the highest mountains in Catalunya: North (3.008 m), South (3.023 m) and Mid Besiberri (2.995 m). 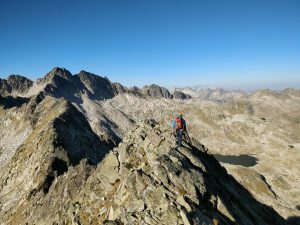 It is a technically simple ridge, with some abseiling, but very long and we must be technically and physically prepared to face great altitude change (about 1.500m total). The access is made from Cavallers dam (1.750m), in Vall de Boí. 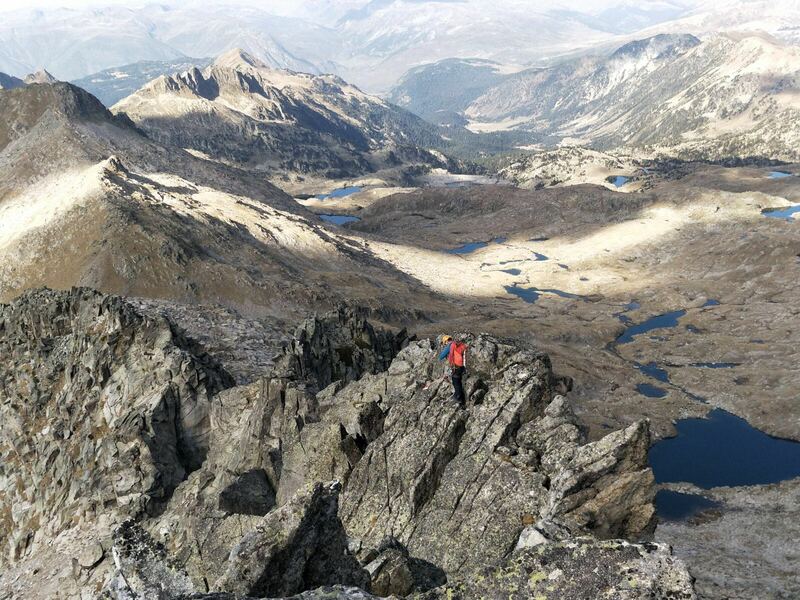 You will feel like an acrobat climbing this arête, with a magnificient aerial view, surrounded by an infinity of lakes. It is locted in the National Park of Aigüestortes i Estany de Sant Maurici, area with more lakes in the Pyrenees; more than 200.